Hey there moves, shakers, money makers! Lore and I once again giving credit for where it is due. This month while I picked a Japanese Actress, Lore picked a favorite Joo Won. While I am not watching Cantabile Tomorrow– I hope that it all turns out well for Joo Won. Mt actress did a phenomenal job– though her fate in the show… Anyway, congrats to these two and keep your eyes open every month for new actors and actress that we love! Checkout the past artist by clicking this link. Deuces! Because: Even if I have really disliked some of the dramas that Joo Won has starred in (L7CS deserves to be thrown into an abyss) I have never been disappointed with his performance. I was extremely impressed with his portrayal of an autistic surgeon in last year’s Good Doctor, he brought so much warmth to the role. 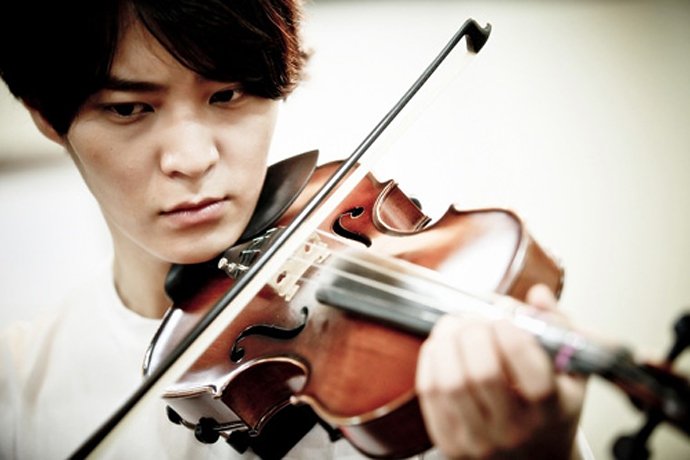 Joo Won’s newest drama, Tomorrow Cantabile, is set to premiere later this month. While I am not sure if I will love the show I am pretty sure I will love his portrayal of a perfectionist composer, because such is the power of Joo Won. Because: Despite this actress being in a slew of shows, I have only seen her 3 times… Her latest role was absolutely the best! I don’t know if it was marriage, motherhood, or age that improved her acting, but I will no longer frown when I see her name in a show that I really want to see! I hope she continues to improve and excel to become a great actress!